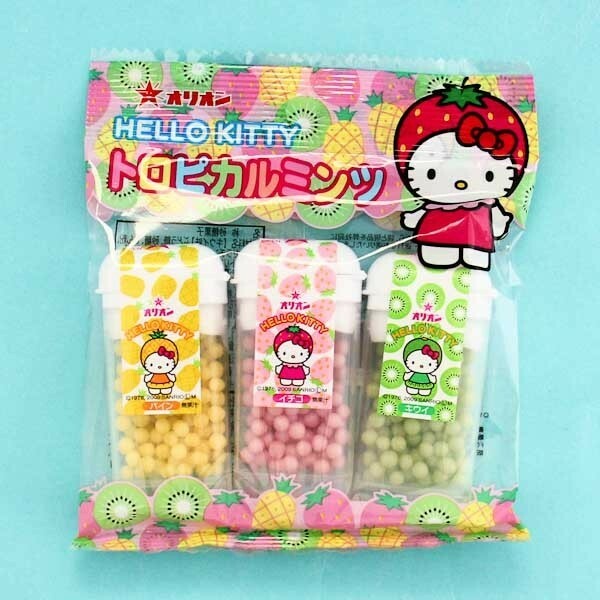 This super cute Hello Kitty candy includes 3 packages of tropical mini sugar mint candy in the flavors pineapple, strawberry and kiwi! These fresh little candy balls are so sweet and delicious, and the resealable tubs make them so easy to bring along on your adventures, and share with your friends! 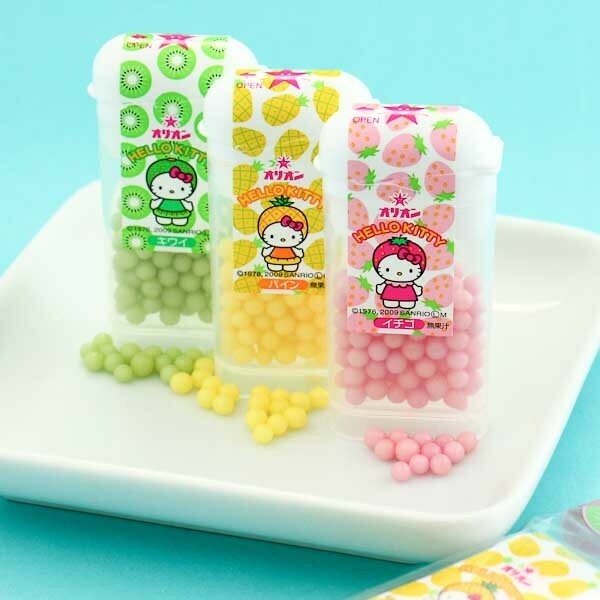 Which flavor is your favorite?